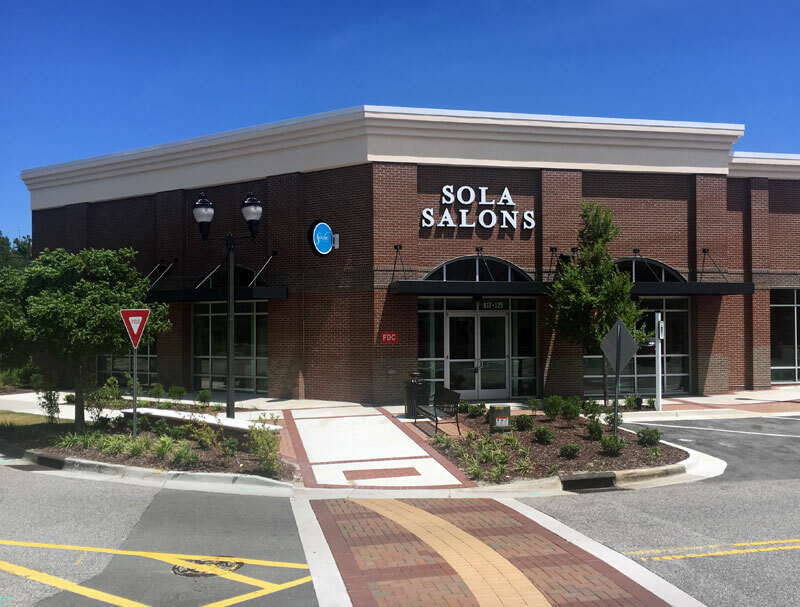 Wilmington, N.C. – Cape Fear Commercial is pleased to announce the opening of Sola Salon Studios in Mayfaire Town Center, a local, open-air shopping center located on Military Cutoff Road. The 6,389-square-foot studio opened on June 30, marking the second Wilmington location for the national salon studio chain and local franchisee Blair Kutrow. Kutrow also owns a 5,600-square-foot store at Hanover Center on Independence Blvd. Cape Fear Commercial brokers Mike Brown and Lindsey Hess represented Sola Salon Studios in the 10-year lease transaction with Mayfaire Town Center LP, who was represented by Paige Somervell and Ryan Nespeca of CBL & Associates Properties. Sola Salons at Mayfaire features 30 studios and 34 chairs that hair stylists, nail technicians and aestheticians can lease for their businessses. “At Sola, we are passionate about helping salon professionals achieve their dreams of salon ownership. Salon professionals at Sola customize their own studio, set their own schedule and prices, and enjoy the freedom and benefits of salon ownership without many of the risks associated with opening a traditional salon,” said Kutrow. Sola Salon Studios is the fastest growing salon studio business in the country and was named Forbes’s Number 1 Best Franchise in 2015. The salon suites chain has over 350 locations and recently announced plans to expand into Canada. Kutrow is working on additional locations in Southeastern North Carolina. 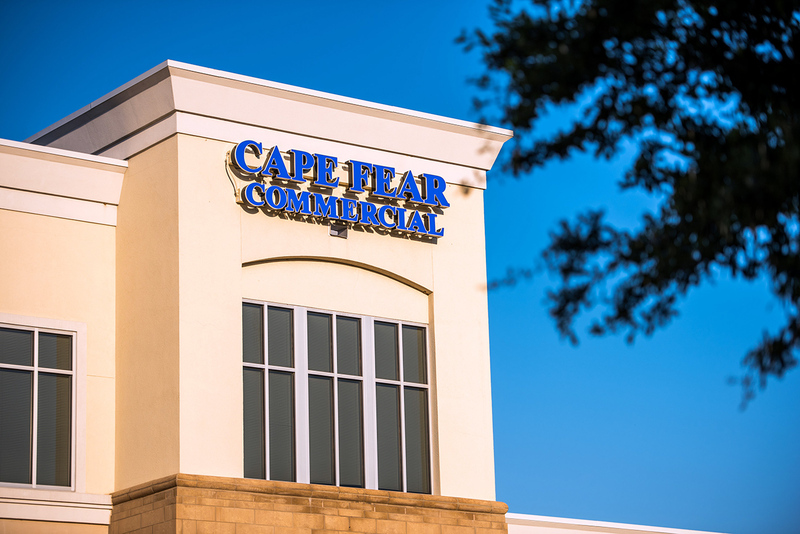 About Cape Fear Commercial Based in Wilmington, North Carolina, Cape Fear Commercial, LLC is a boutique commercial real estate firm that provides targeted brokerage, property management and development service. Since 2001, the firm has helped owners, users, developers and investors to successfully navigate the real estate market. For more information, visit www.capefearcommercial.com.